The Intuitive Thread introduces four textile artists from across Japan who are re-interpreting traditional methods and exploring new forms of expression. These artists remain grounded in slow, disciplined age-old processes, while at the same time challenging convention. 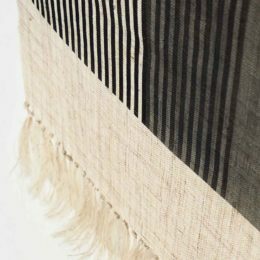 Dyed, woven, printed and sewn, the work of each of these artists reflects a respect for natural materials and a commitment to an enduring, living Japanese aesthetic. Curated by Eloise Rapp, the exhibition features the works of Chiharu Ohgomori, Masako Kikuchi, Chiho Sasaki and Misako Nakahira. An event program, featuring film, talk and workshop, will run in conjunction with the exhibition. 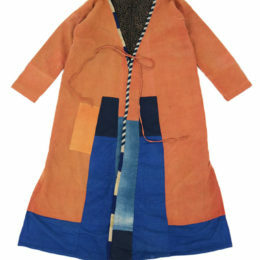 Eloise Rapp is an Australian designer and educator specialising in textiles, fashion, craft, community development and sustainability, currently based in Kyoto. With a long engagement with Japanese textiles research, her textiles practice and experience in education informs her current curatorial project, The Intuitive Thread. Eloise has ten years’ experience in design studios and as a lecturer and tutor at educational institutions in Australia and Japan, including the development of new subjects for UTS’s Master of Design. Her clients include The Old Clare Hotel, Ken Done, WGSN, IKEA Australia, Thread Textiles, Mayamiko, Japanese Streets, and The Social Outfit. Chiharu Ohgomori graduated from Kyushu Sangyo University in 1991 and began her career at a dyeing factory in her hometown of Fukuoka. 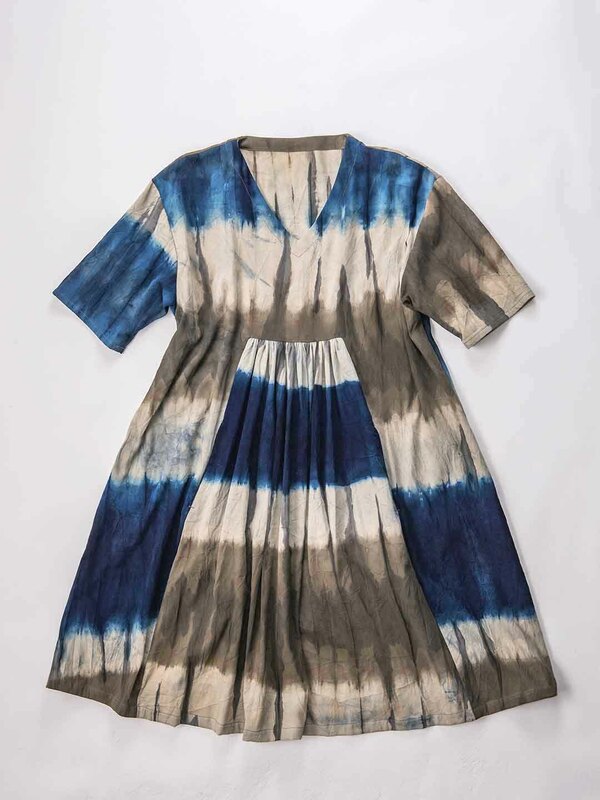 In 2000, she established Takarajima Senkou, a dyeing factory specialising in natural dyes such as indigo, mud, ink, and other plant-extracted colours. 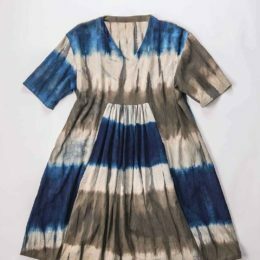 For over 15 years she has been dyeing fabric for a diverse range of local apparel brands, as well as designing and dyeing their own original range of clothing and interior pieces using all natural materials. Her work has been exhibited in Japan and Netherlands, and has participated in Indigo: Sharing Blue, a collaborative project between Japan and Holland. Hokkaido-born Masako Kikuchi started studying dyeing in 1973. Experimenting with white cloth, she explored dyeing methods such as batik, katazome (stencil dyeing), and natural plant dyeing. Kikuchi finally found her ideal form expression in sumi, a black artist’s ink traditionally used in Japanese calligraphy and brush painting. Portraying the world in monotone, her rhythmic, defined patterns harness the depth of colour sumi can achieve, elegantly shifting between line and form, light and shade. 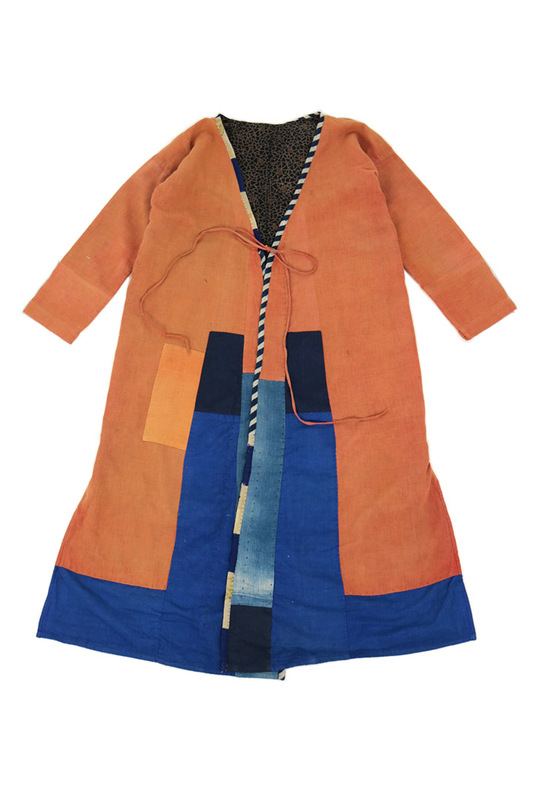 Kikuchi often makes her dyed textiles into functional objects such as bags and ‘noren’ curtains, allowing her art to play a practical role in our everyday lives. Her works have been exhibited in solo and group shows in Japan. 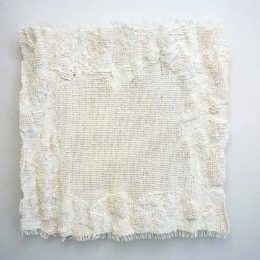 Chiho Sasaki started creating hand-knitted textiles in 2008. The following year, she and her husband opened a vintage clothing store in Tokyo, selling mainly vintage European clothing. 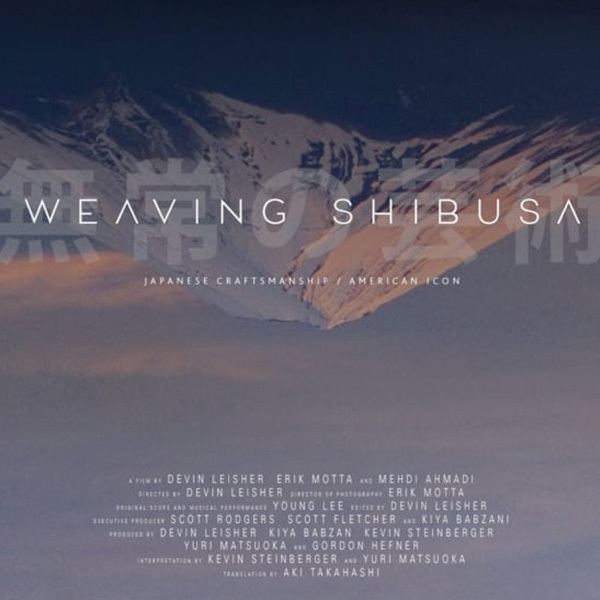 Over time, they began to create their own unique assembled garments, often using a Japanese mending technique called boro which extends the life of old garments through resourceful patching, appliqué and sewing techniques. 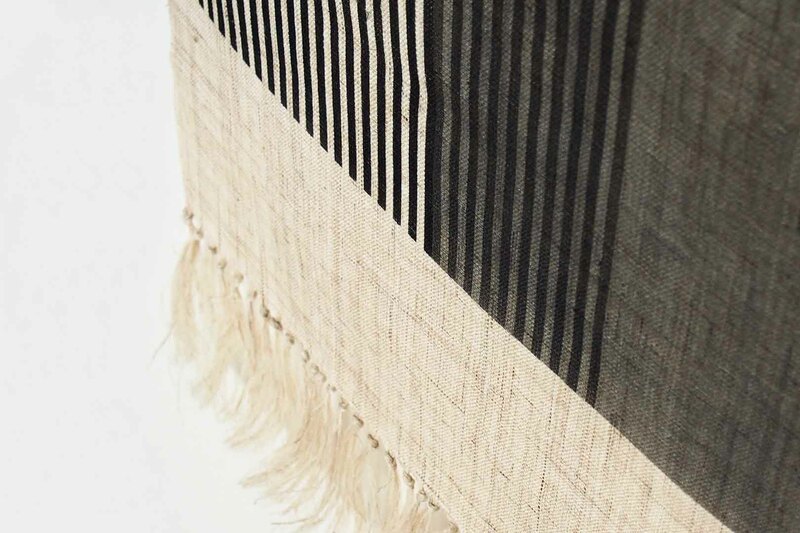 Sasaki believes old textiles have qualities that make them incomparable to new textiles. In 2014, the Sasakis launched Sasaki Yohinten, a store which has become known for its original line of clothing called Sasaki Jirushi. Misako Nakahira studied a Bachelor of Textiles at the Kyoto University of Art and Design. 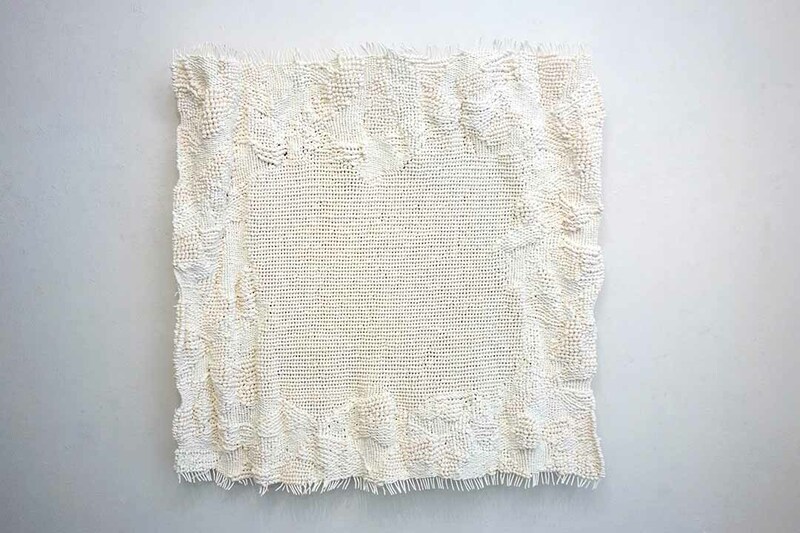 Weaving tapestries using natural fibres, such as spun washi paper, cotton and flax, Nakahira sees life emerge in the cloth in the hand-woven details. Her use of a predominantly white colour palette heightens the effect of these details and allows viewers to make their own interpretations. Nakahira’s works have been exhibited at various galleries in Kyoto and the Tokyo International Exhibition Center. Address by curator at 6:30pm. Exhibition officially opens on August 24, 6pm. The gallery will be closed in the hours prior.